When visiting the Baltic’s for some reason I assumed that Estonia would be my favourite of the three countries (Estonia, Latvia and Lithuania). However after spending some time in Riga, Latvia I feel in love with this city! 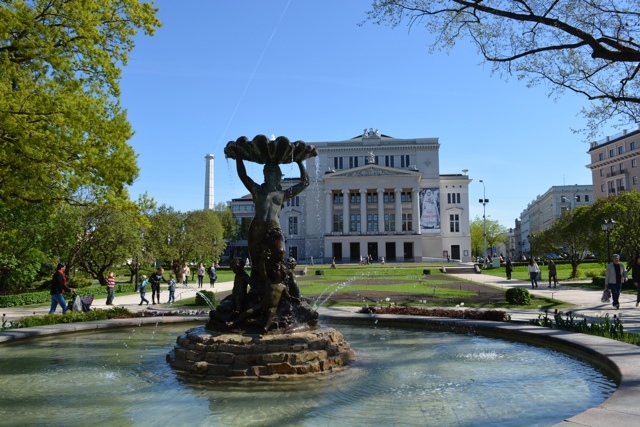 Tallin was nice and all but to me Riga was even better and has more of what I like in a city. Even though I was only there for 3 days and a bit, I covered a lot of ground and can’t wait to visit again soon. 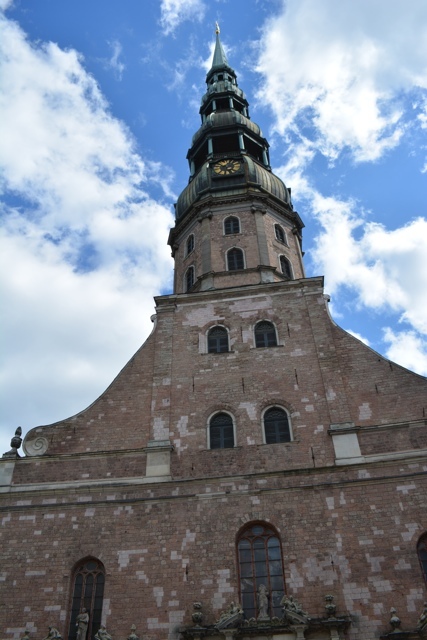 If you are planning on visiting, here are some of my best tips for visiting Riga, Latvia. 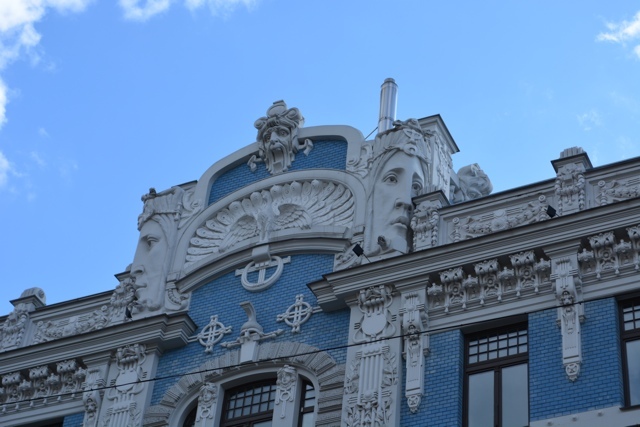 A close up of details of one of the many Art Nouveau buildings in Riga. 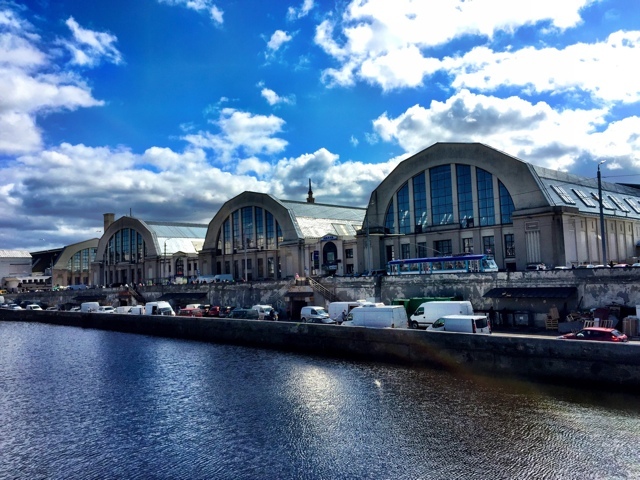 Without a doubt the best way to see a city when you first visit is to take a city tour whether it is a hop on hop off bus or a walking tour, I really think they are a must on your first day visiting a new place. 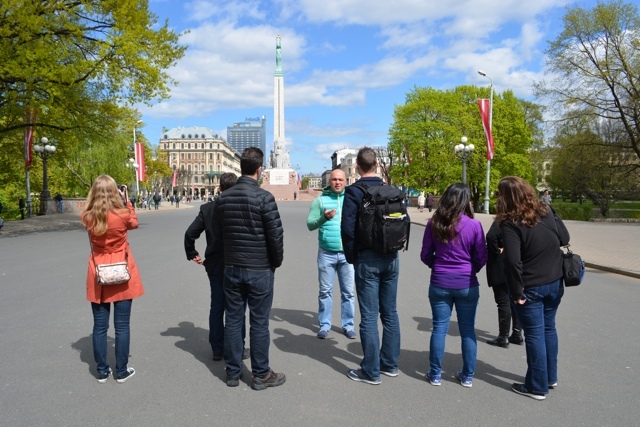 While there I was on a trip with JayWay Travel and they had arranged a great walking tour with a local named Tomas. He took us all over the old town of the city and through the Art Nouveau area as well. Tomas knew so much and the best part with having a guide is that the things he told us were things that we would have never known had it not been for him. The best views of the city are from the top of St. Peter’s Church for a small fee. Climb to the top of St. Peter’s Church for amazing views. Conveniently they actually have a elevator that takes you all the way to the top, where you can get some amazing views of this gorgeous city for a small fee. After your walking tour it will be nice to stand above the city and piece all of the places that you have just visited together. Other places for great views of the city are the Latvian Academy of Sciences and from the bar on the top floor the Radisson Blu. 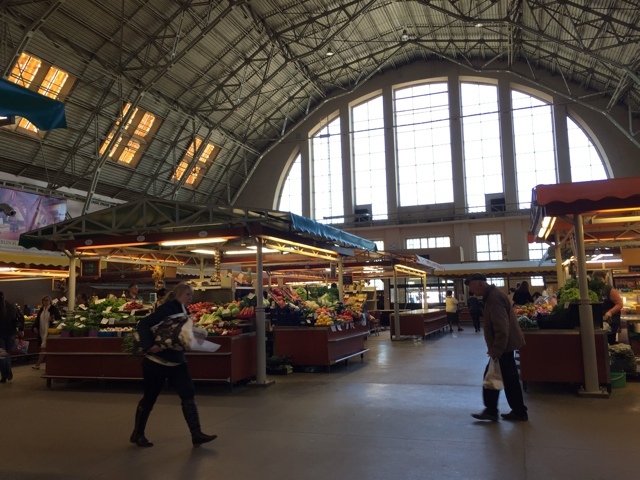 The Riga Central Market is GYNORMOUS. It is actually inside of 5 different buildings that used to be hangers for zeppelin blimps! You can buy everything here from flowers to fruits, vegetables, meat, fish, spices and more. Open every day of the week it is a great place to explore. One of my favourite spots was a small restaurant near the fish market called “Siļķītes un dillītes” also known as “Herring and Dill” which literally had some of the BEST fish and chips of my life! The old town of Riga is surrounded by the Pilsetas Canal which connects on either end to the larger River Daugava which drains into the Gulf of Riga in the Baltic Sea. There are several tour operators that offer different boating excursions on the canal and river. 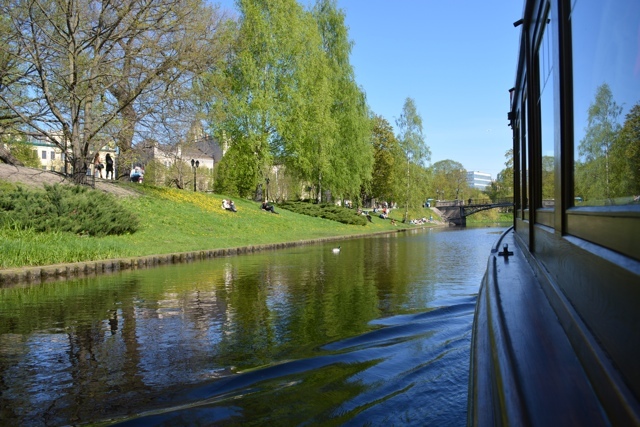 I went for the small boat option with Riga by Canal and enjoyed a relaxing ride along the canal and river and got to see the city from a different point of view. Later that night friends of mine went on a night time kayaking excursion and ran into some interesting critters that you can see HERE. 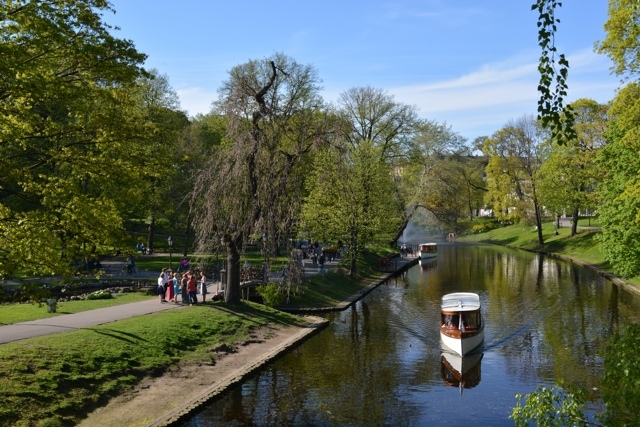 Riga is filled with a lot of green space and parks. In the summertime they are the perfect spots for enjoying a picnic, hanging out with friends, attempting to get a tan and of course people watching. If you are visiting during a warmer time I highly suggest heading to a nearby park along the canal and just hanging out while soaking in the city. 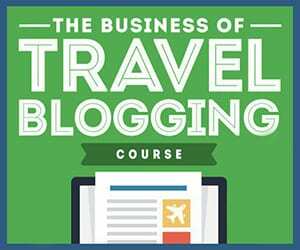 I was hosted by JayWay Travel on my trip through the Baltics, however like always all opinions and views expressed are my own. WOW! Thank you so much for these beautiful pictures. They brought back some very happy memories. 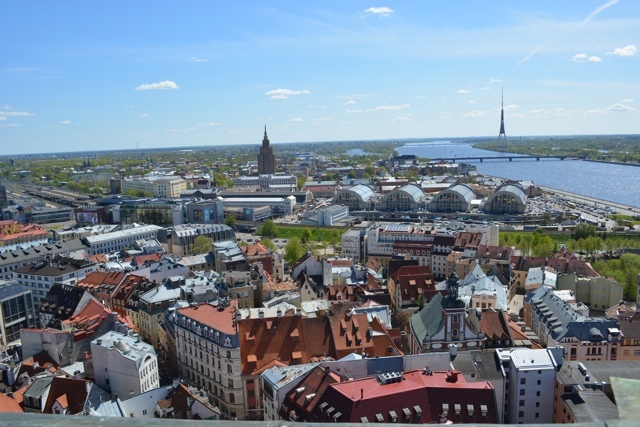 Riga looks gorgeous! Thanks for all the tips. I’m with you, on my first day anywhere I like to take a guided tour and then get high above the city to start to figure out a place. I also always love to get to the market within the first few days. 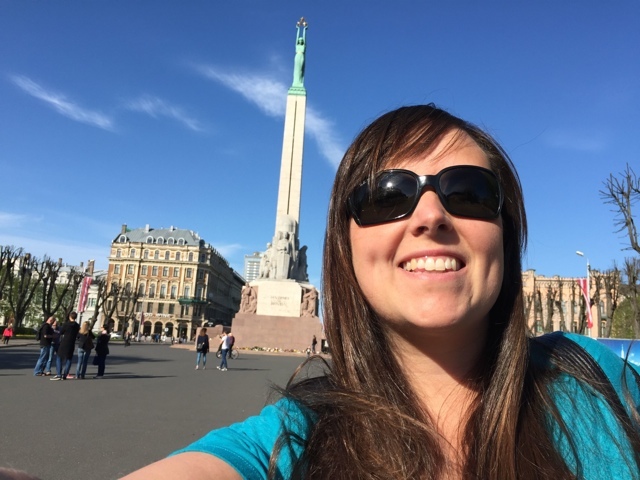 Since you loved all these things, I think Riga is a must whenever I decide to visit the Baltics!